Ever wonder how Tony Robbins is able to have enough energy to keep 4,000 people engaged for over 50 hours over four days, then jet off to his next location and his next event the very next day? 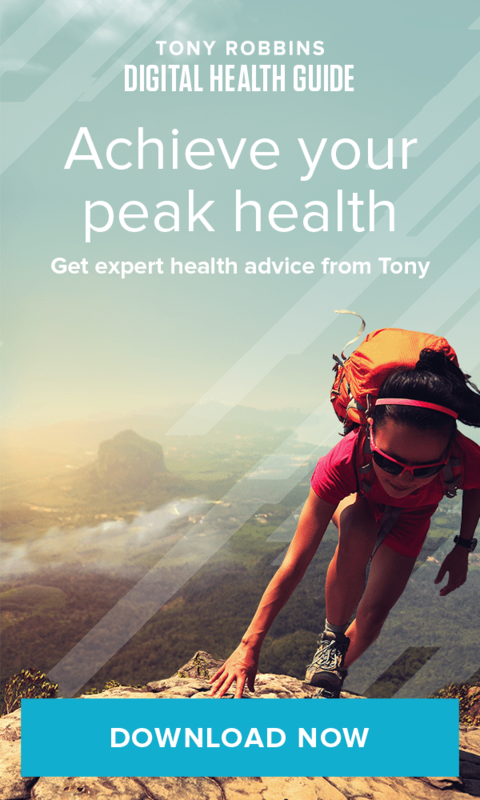 His physical vitality is not only the result of immense mental and emotional fitness, but of his deep commitment to achieving a peak physiological state. And one of his secret weapons to creating this vitality and health is the Cyclic Variations in Adaptive Conditioning machine, or the CVAC for short. The CVAC looks like what can be described as a futuristic pod. No, this pod does not fly, nor does it feature any virtual reality technology, but the idea behind it is no less ambitious. Unlike hyperbaric chambers that work by increasing the air pressure in order to saturate the blood with oxygen and stimulate healing, the CVAC is based on the benefits created by constant and rapid pressure changes. As you sit in the pod, an external vacuum pump adjusts the barometric pressure inside, simulating increases and decreases in altitude that range from sea level to over 22,500 feet. Your entire body — blood, organs, muscle — is rhythmically compressed and relaxed, as a computer screen outside the pod charts the peaks, plateaus, valleys and drops. The standard session is a brief 20 minutes, which means that the types of negative side effects that can afflict ascending and descending climbers are not a concern, as the amount of time spent at each altitude is so minimal. 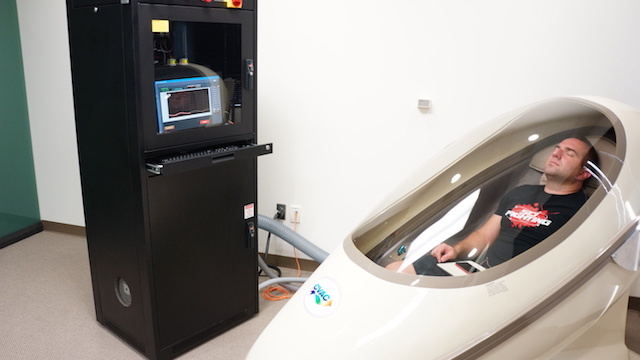 While the user doesn’t do much aside from sitting while inside the pod — and yes, you can bring your mobile device in with you — the company behind the machine, CVAC Systems, maintains that the treatment has many of the same benefits as intense exercise. In fact, CVAC claims that spending up to 20 minutes in the pod just three times a week can improve circulation, boost oxygen-rich blood cells, remove lactic acid and potentially stimulate mitochondrial biogenesis and stem-cell production. In layman’s terms, this can mean improved stamina and energy, increased endurance, reduced inflammation and swelling, improved sleeping patterns and improved mental acuity and alertness. Those who suffer from fatigue or other physical limitations can benefit greatly from CVAC treatments. But so can those who are already at a peak physical state. The company notes that athletes can use the CVAC to improve the efficiency of their fitness workout or training regimen, increase their power and endurance, and improve their recovery time. Tennis champion Novak Djokovic is just one high-profile athlete who has testified to the benefits of the CVAC. Why does rhythmically compressing and relaxing the body create such immense benefits? Well, those are questions that most people, including CVAC Systems, don’t seem to have the answer to. Many presume that at least part of the benefits are brought about by the effects of hypobaric hypoxia — a condition where the body is deprived of a sufficient supply of oxygen.